TARISAI MUSAKANDA will captain the Zimbabwe Select cricket side at the Africa T20 Cup tournament in South Africa later this month. This year’s edition of the Twenty20 tournament, run by Cricket South Africa, has been expanded to 20 teams and will take place in the four coastal venues of Oudtshoorn, East London, Pietermaritzburg and Paarl. The preliminary round is scheduled for September 14-16, followed by the final weekend between September 23-24. The teams have been drawn into four groups, with Zimbabwe Select in Pool B, alongside South Western Districts, Free State, Gauteng and Northerns. Pool B matches will all be in Oudtshoorn, a town in the Western Cape province of South Africa known as the “ostrich capital of the world”. 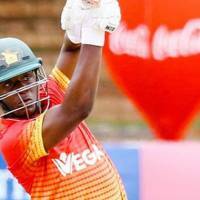 Led by Musakanda, and including a host of experienced campaigners in their 13-man travelling squad, the Zimbabwe Select will be targeting to make it into the final of the annual T20 competition. Timycen Maruma, Neville Madziva, Tinotenda Mutombodzi, Brian Chari and Rugare Magarira took part in the 2017 competition and they will seek to make their experience count in this year’s edition. Richmond Mutumbami and Cephas Zhuwao are also part of the Zimbabwe Select side, which also includes vice-captain Ryan Murray, Tinashe Kamunhukamwe, Richard Ngarava, Brandon Mavuta and Mohammad Faraz Akram. Shepherd Makunura is the Zimbabwe A coach and he is being assisted by Stuart Matsikenyeri, with Eric Chauluka travelling as team manager. – 16 September (1pm) – South Western Districts v Zimbabwe Select (Recreation Ground).